Hi guys! 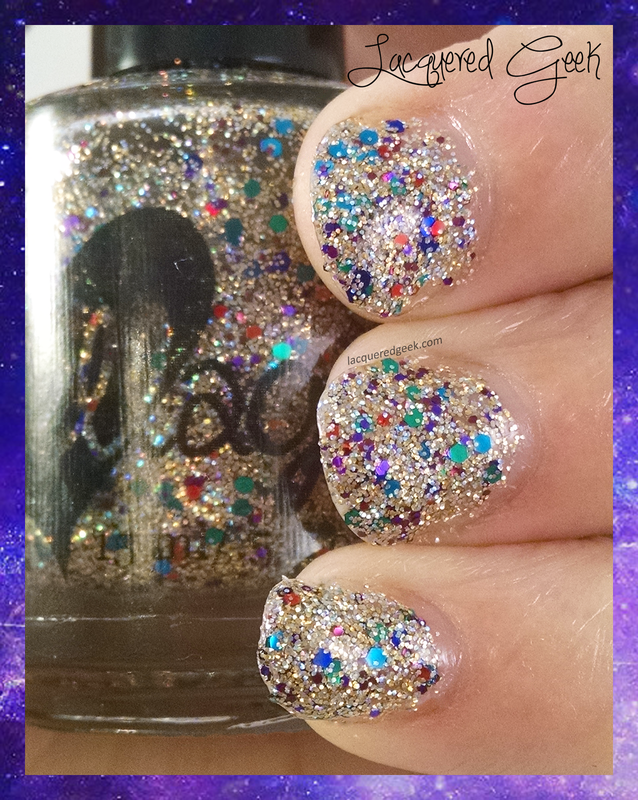 Today, I have a gorgeous polish from ellagee - Jewel Encrusted. I got this one for Christmas, and it instantly went on my nails, and I have worn it several times since then! Jewel Encrusted is a clear base packed absolutely full of metallic and holo glitters in bright jewel tones, along with silver and gold microglitters. 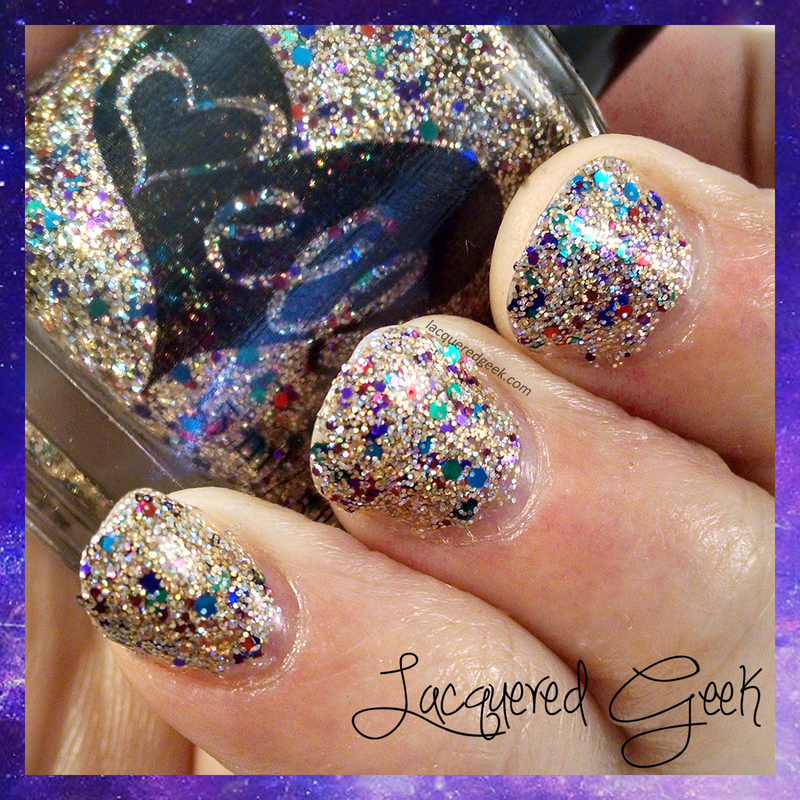 It is a complete glitter bomb! I have worn it as an accent nail, and as a complete mani, and it looks great either way! 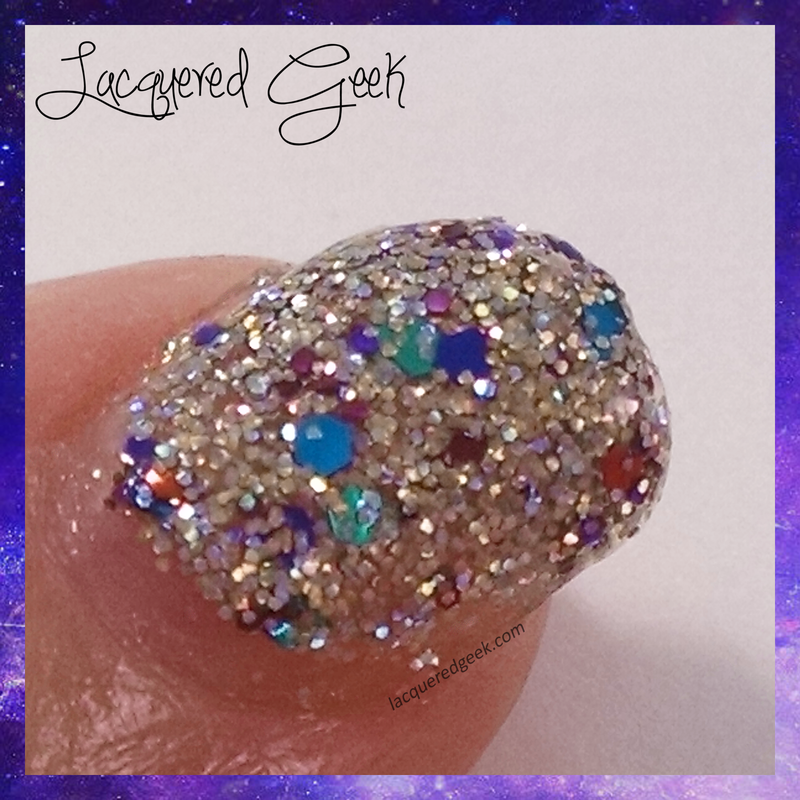 I do recommend using a peel-off base when using this polish, simply because it is pretty much straight glitter. 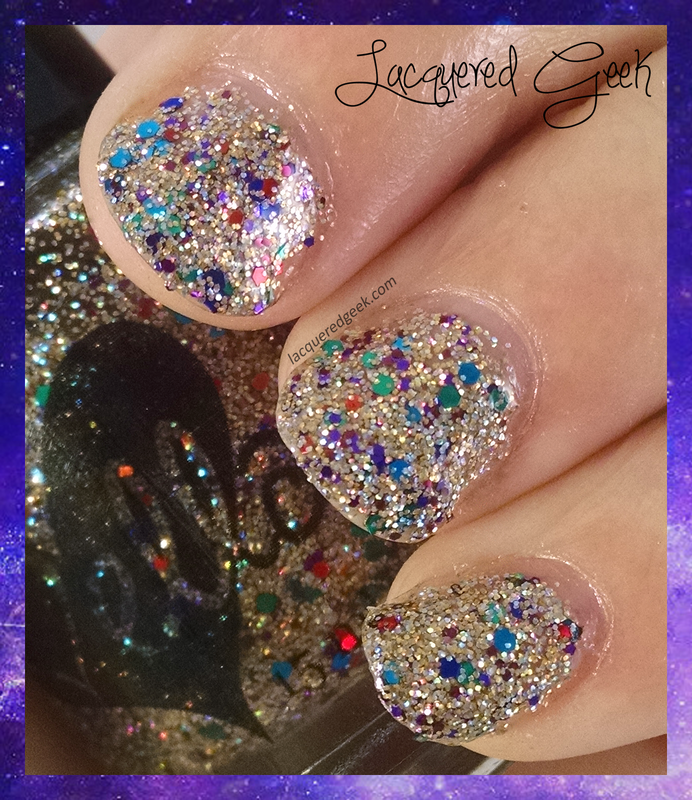 The formula is a little on the thicker side, but you have to expect that with this amount of glitter! Plus it makes it so easy to apply the polish; you get great glitter payoff, and can just dab around to fill in any gaps. I used 3 coats for these photos. 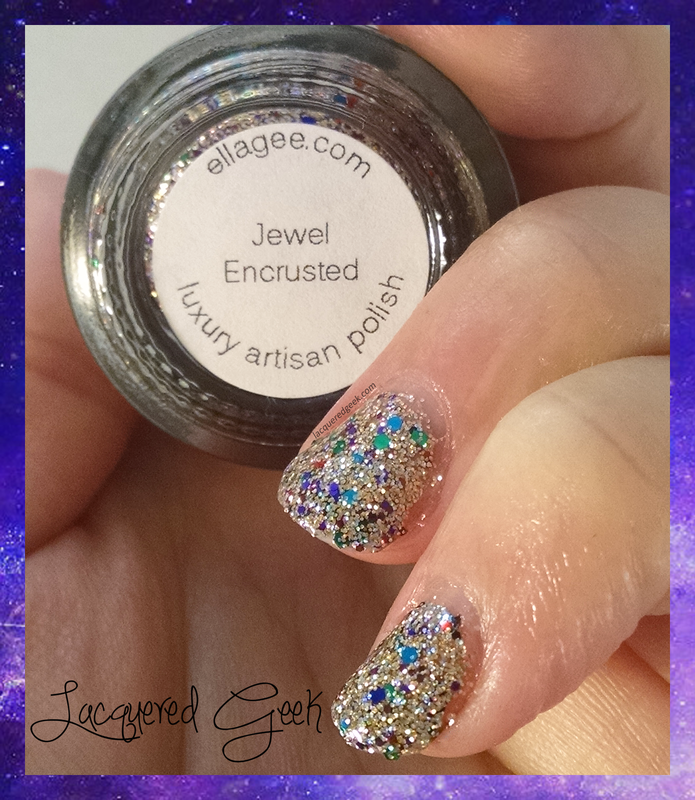 Jewel Encrusted has quickly become one of my favorite polishes, and ellagee has recently released Crown Jewels, the pastel cousin to Jewel Encrusted. I just ordered that one (was on a no buy until I was back from vacation! ), so be on the lookout for my review of that one in the coming weeks!